We are a very active outdoor family. We live in the country and we are not afraid to get dirty, and thanks to Tide I don't have to worry if our clothes will come out clean kr a mess. They come out clean and fresh every time! 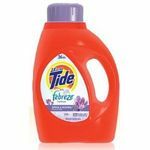 Tide hands down is one of the best laundry detergent to use! 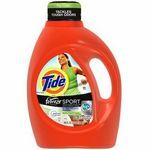 It cleans your clothes, removes stains, and leaves a wonderful scent on your clothes! With Tide you don't have to use alot. One cup of Tide vs 3 of another brand will do the job and more! Also I use Tide detergent when shampooing my carpets and let me tell you it works wonders!!! After my carpets look amazing and it saves money from buying name brand carpet cleaner plus cleans my carpets better and my carpets smell fresher! 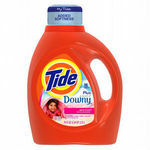 Tide is so great I have been using it for years and it gets all the stains out of the kiddies clothes and it never bother my new born either it's great!!! My daughter has allergies and asthma. A lot of laundry products bother her skin. This is one of the only two products we have found that don't cause a reaction to her. It works great I can just throw things in the wash without shouting stains. It smells good but doesn't last very long. Also sometimes I've noticed fading in clothes when using this. 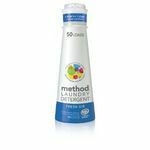 You need very little of this product and your clothes come out clean and smells great. It is a little pricey but the little amount you need make up for it. I use this for a family of 5. 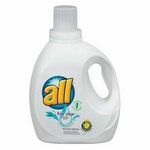 I wont use any other brand anymore because i love how soft my clothes come out after i wash them. 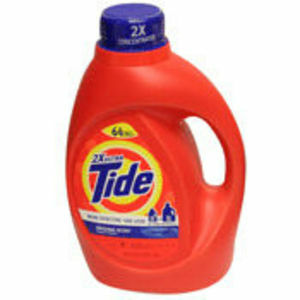 I've tried lots of detergents but always come back to the Original Tide. Works great and doesn't bother my kids sensitive skin.